UPS (NYSE: UPS) today announced the launch of an eBike that will deliver packages in Pittsburgh, Pa. The electrically-assisted tricycle will help reduce carbon emissions in addition to traffic, noise and air quality challenges in Pittsburgh. The deployment is part of UPS’s Cycle Solutions and the company’s Rolling Laboratory, which tests alternative fuels and advanced technology vehicles. Pittsburgh residents joined the City of Pittsburgh’s Karina Ricks, mobility and infrastructure director and Grant Ervin, chief resilience officer with UPS representatives at a UPS facility to debut the eBike. The eBike route is planned to go around downtown Pittsburgh. 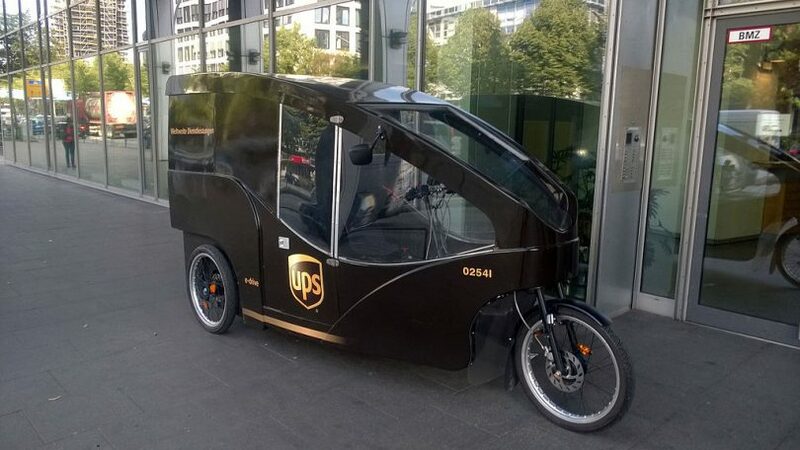 The success of the eBike was first demonstrated in 2012 in Hamburg, Germany, where UPS focused on developing a new and sustainable method of delivering goods to urban areas. UPS placed four containers at central locations in the city for interim storage of packages for UPS drivers. From these points, deliveries were made on foot or with specialized electronically-assisted cargo tricycles that ease traffic congestion and reduce emissions each working day. Due to the success of the pilot, the Hamburg program was already extended. 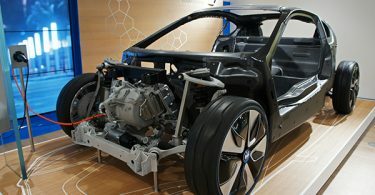 That model serves as a prototype for the company’s new eBike in Pittsburgh, Pa. The eBike is equipped with battery-powered electric motors that makes it possible to cover longer distances than traditional bikes, carry substantial loads and navigate hills and other terrain. Maximum energy efficiency is achieved when combining battery power and human power simultaneously. The eBike can be operated solely on battery power or pedal power.UPS will evaluate the reliability, design, integration to the city’s infrastructure and acceptance of the vehicle. 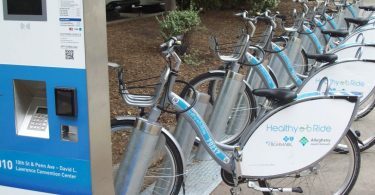 The intent is to operate the eBike in Pittsburgh as weather permits on a regular route year-round. UPS has numerous cycle solutions deployed around the world. The company currently operates inner-city delivery projects with delivery on foot and by bike in Frankfurt, Offenbach, Hamburg, Munich, Oldenburg and Herne, Germany, as well as in Leuven and Mechelen, Belgium; Rome and Verona, Italy; Toulouse, France; and Dublin, Ireland. Using its “Rolling Laboratory” approach, UPS deploys more than 8,500 low-emission vehicles to determine what works best in each situation. From old-fashioned pedal power and electric-assisted bicycles in dense urban areas like London and Hamburg to electric and hybrid electric vehicles in the U.S., and natural gas, renewable natural gas and propane globally, UPS puts sustainability innovation into action, all over the world. UPS (NYSE: UPS) is a global leader in logistics, offering a broad range of solutions including the transportation of packages and freight; the facilitation of international trade, and the deployment of advanced technology to more efficiently manage the world of business. UPS is committed to operating more sustainably – for customers, the environment and the communities we serve around the world. Learn more about our efforts at sustainability.ups.com. Headquartered in Atlanta, UPS serves more than 220 countries and territories worldwide. The company can be found on the Web at ups.com® or pressroom.ups.com and its corporate blog can be found at Longitudes.ups.com. To get UPS news direct, follow @UPS_News on Twitter.